Pets are welcome at our community. There is a 2 pet maximum with some breed and weight restrictions. Please call us for more information about our Pet Policy. 1 Bed | 1 Bath | 792 sq. ft. Unique luxuries include an oversized laundry room with washer/dryer connections, kitchen island, built-in wine bar, stand-up shower, built-in desk, and oversized living/dining room area. 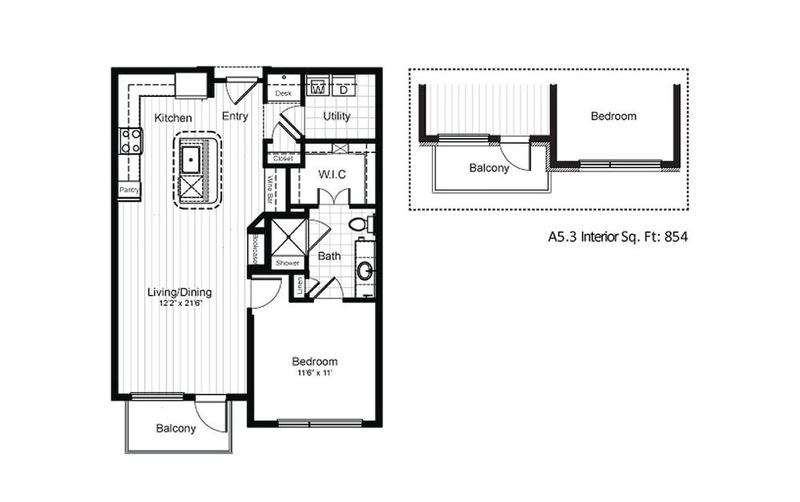 The floor plan square footage without the patio/balcony included is 792.